The Kanex MultiSync Foldable Travel Keyboard is the perfect fold-and-go solution when you need to do some serious typing on your smartphone or tablet. The Kanex MultiSync Foldable Travel Keyboard is the perfect fold-and-go solution when you need to do some serious typing on your smartphone or tablet. 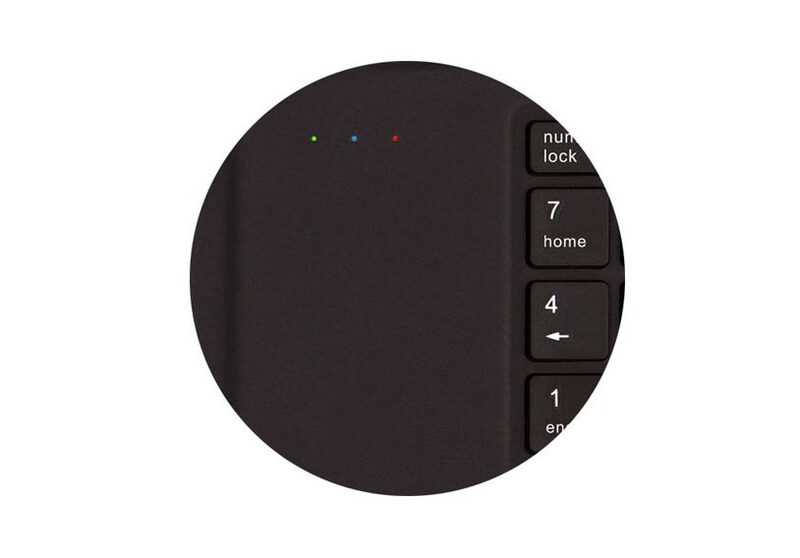 This universal keyboard uses Bluetooth to wirelessly connect to up to 4 devices. At first touch, you’ll notice the welded construction and lightweight durability. The magnetic closure keeps it safely secure and automatically wakes your keyboard when opened. A built-in touch-sensitive trackpad and soft-touch left and right click buttons make for easier navigation of webpages. 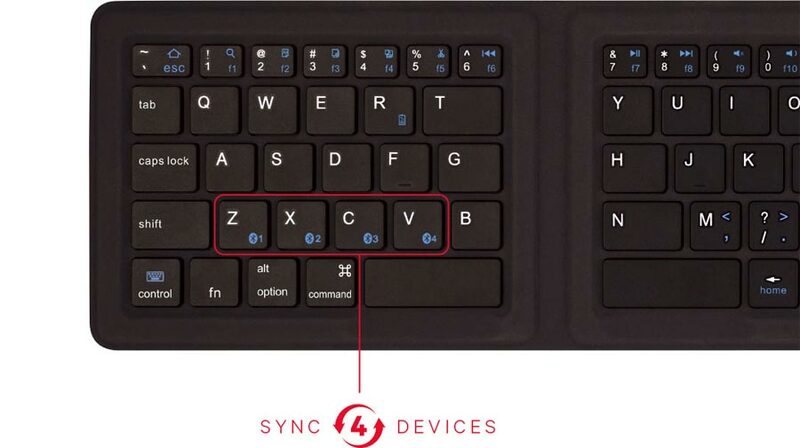 MultiSync technology makes it easy for simple switching between four devices. Just pair and start toggling. Bluetooth 3.0 technology means you don’t have to take up valuable USB ports with wireless receivers. Setup is easy, and no installation or drivers are required. 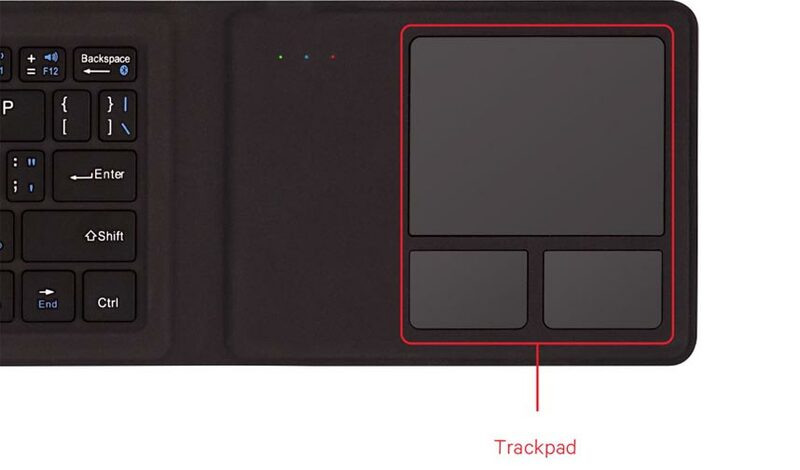 Built-in trackpad for easy scrolling and swiping through webpages. Left click and right click buttons make for easy navigation and eliminates the need to carry a mouse while on the go. You’ll know when it’s time to charge with the integrated LED indicator. Red means it’s time to charge soon. Green means its charged. Blue means you’re connected via Bluetooth.